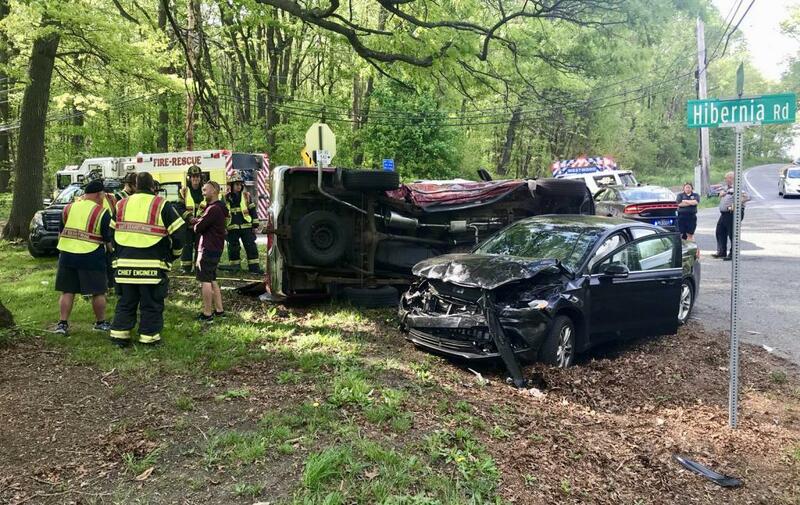 On Thursday May 10th East Brandywine Fire Company volunteers responded to another accident in West Brandywine Township. 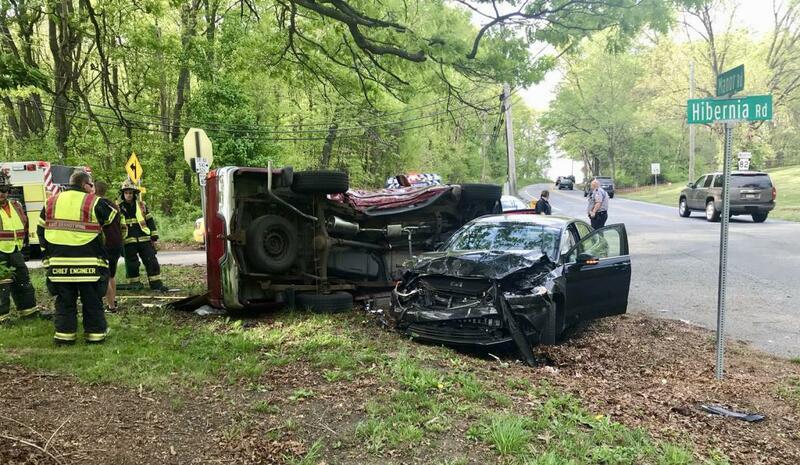 This incident occurred on Route 82 in the area of Hibernia Road. 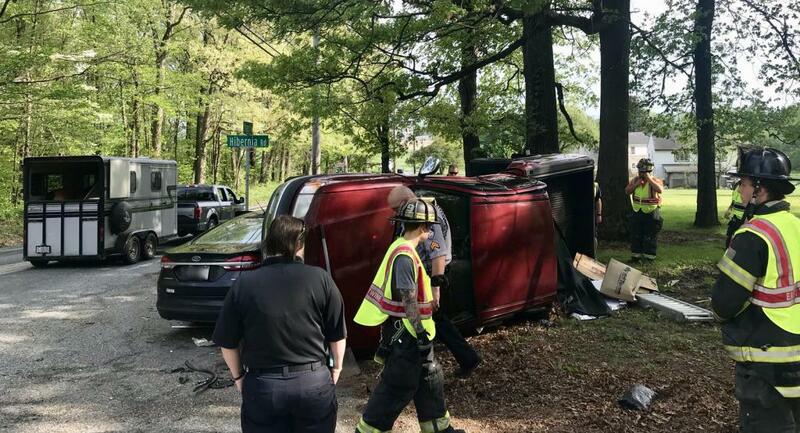 While en-route to the scene East Brandywine personnel were advised that the crash involved two vehicles resulting in one vehicle being on its side. Fortunately all occupants were able to exit the vehicles safely on their own and only had minor injuries. The Company remained on-scene for approximately 30 minutes prior to returning.